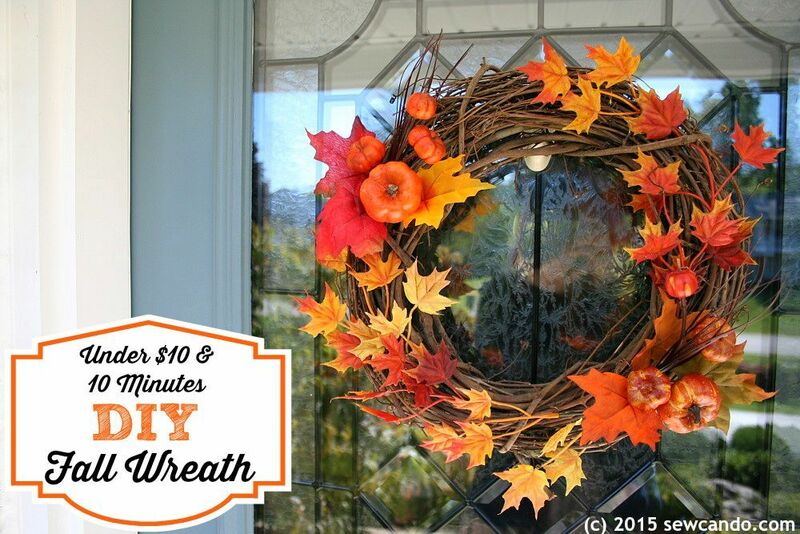 Love Fall decorations, but don't have a lot of time to DIY the decor? 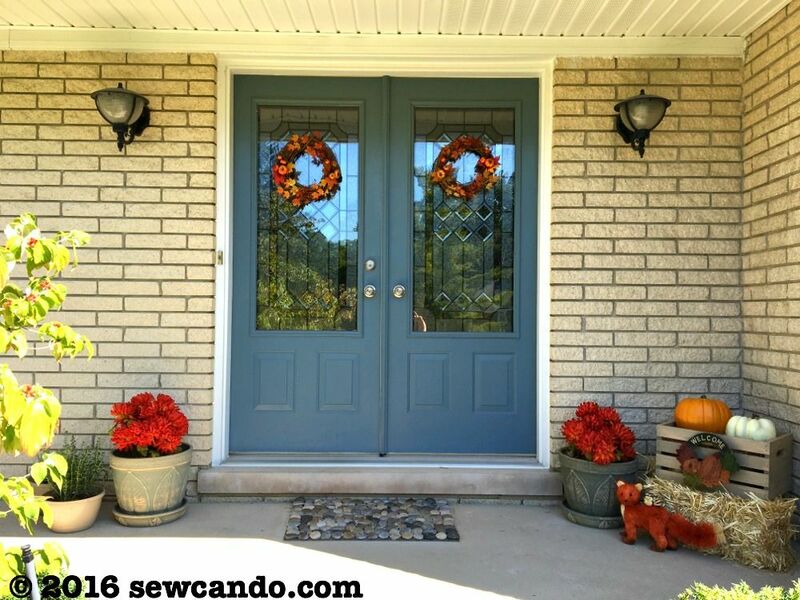 I'm sharing how I made my front porch festive in record time this year by reusing a bunch of stuff I already had in a new way. The ceramic pots are my "always on the porch" pots. In the summer they held dahlias, trailing vines and germander herbs, but the first two plants were pretty much done. I transplanted the still growing nicely germander into a smaller pot and plopped my trusty silk mums into my big pots. 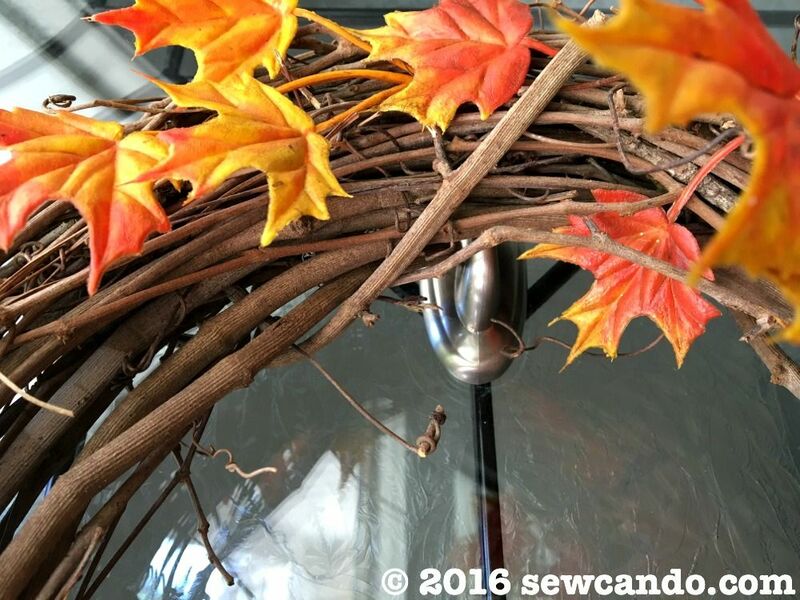 I've used these mums every autumn for about 8 years now. Why buy real ones that will just get thrown away in a month or two? These look vibrant & pretty real (at least to me) and when the first sign of winter comes, they get tucked away for the next year. So easy - totally worth the $12 total investment they were when I bought them way back when! 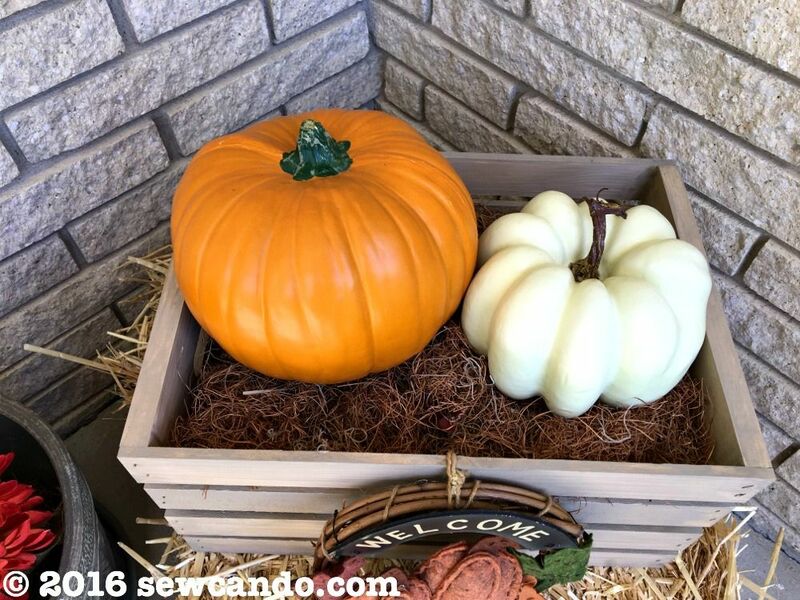 I bought straw bales to set the crate on and then stacked a few bricks inside the crate for sturdiness and so my old faux pumpkins would just peek out the top. I spread some spanish moss to hide the evidence of the bricks. Now I had a cute little vignette for the normally boring corner of the porch. And if you have glass doors like me (or just don't want to put in a permanent hook), use the 3M Command Hooks to hold the wreaths on. I use those hooks for my door decor year round. They just stick on, hold quite a bit of weight, and, more importantly, leave no trace. By the way, I'm not paid to pimp 3M, I just like 'em! I'm really pleased with how my front porch looks now and am happy that it didn't take much time or money (just buying the crate and straw this year). 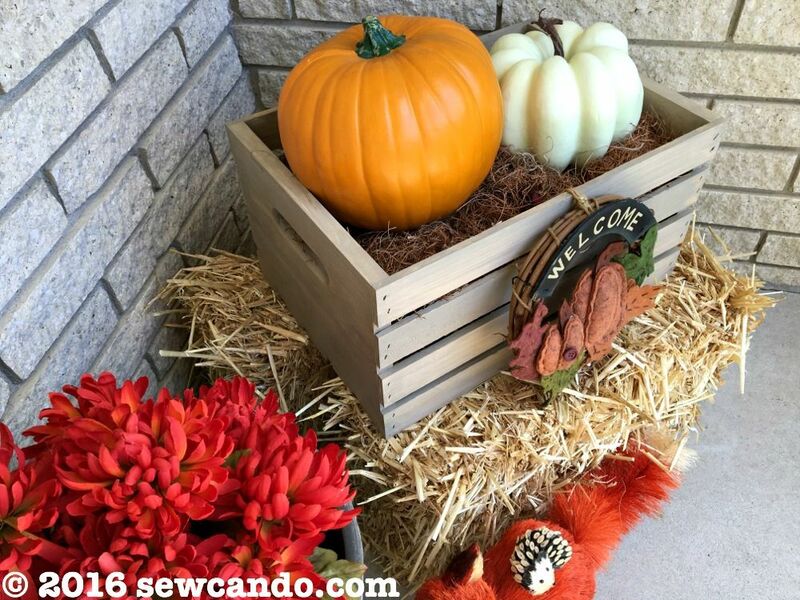 I can switch it up next year by using flowers in the crate, swapping in a new sign or adding a new critter or two. Ideally I can store everything in the crate when the season's over too. 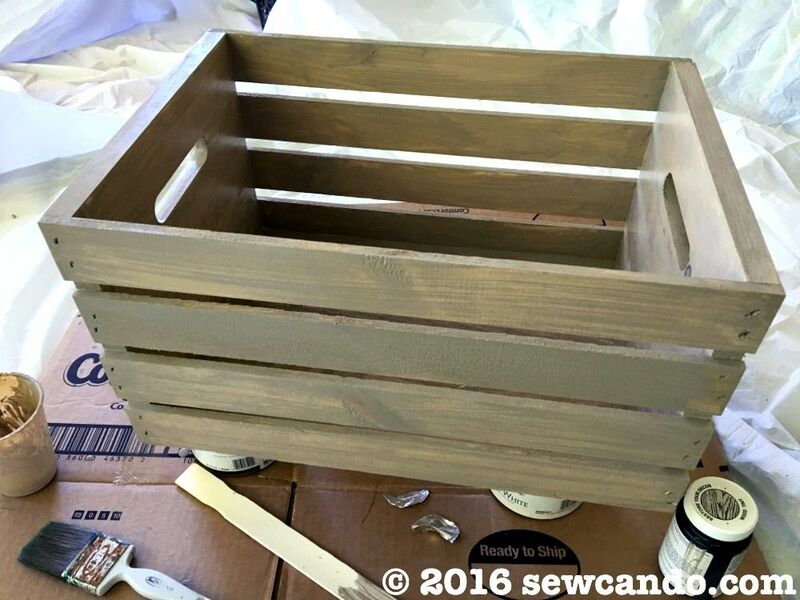 Easy & thrifty is my favorite kind of project! 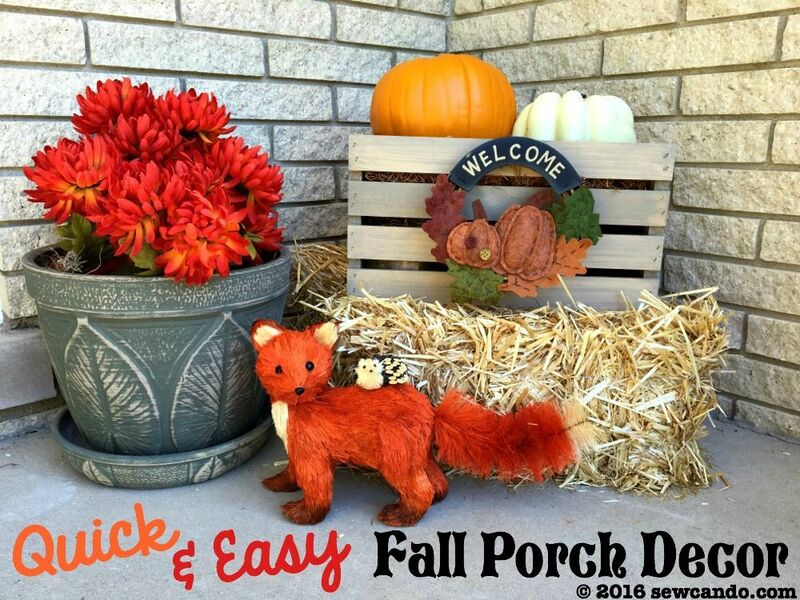 Your porch looks fantastic and you've given me some great ideas of how I can re-use some things. I love the little fox with a hedgehog on it's back, so cute. 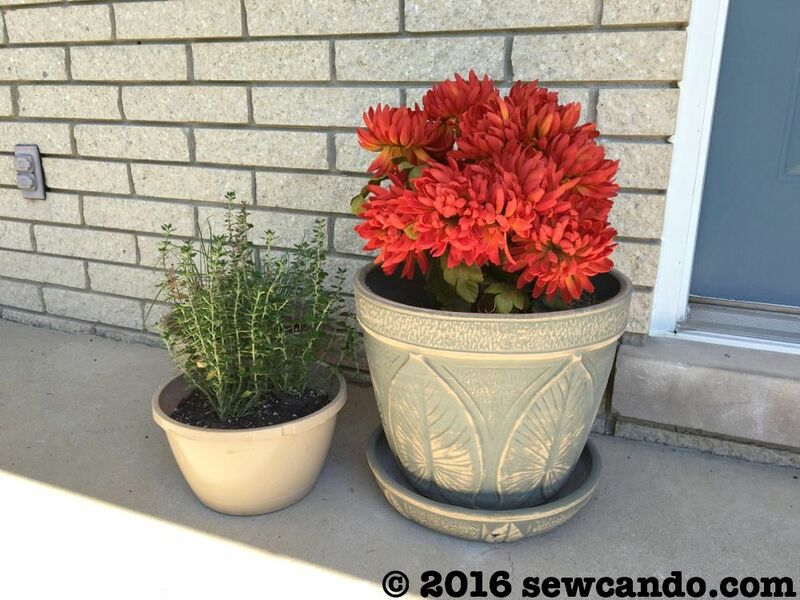 I also use artificial flowers in my front porch pot - so much more economical! Love the fox! I totally agree! 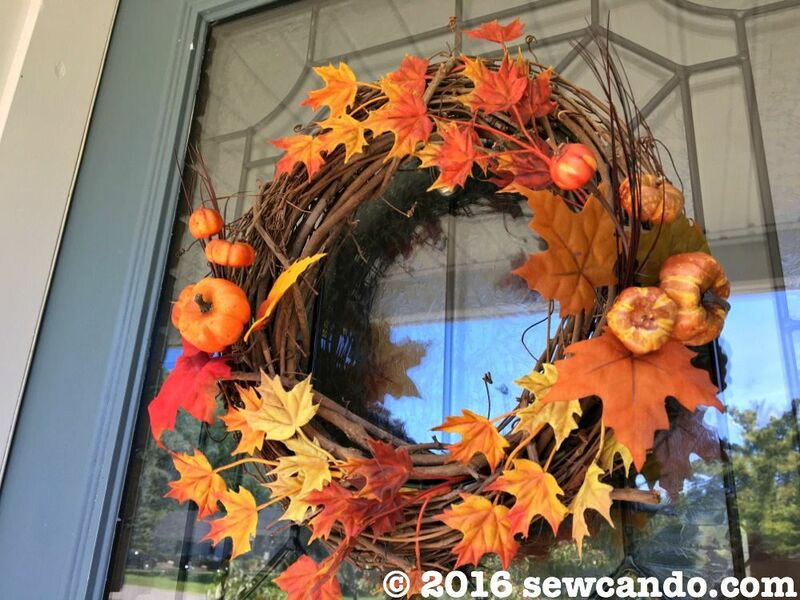 Seasonal real is lovely, but if it's going to be tossed out (as so many people do), it's much better in several ways to use the faux - and the bugs won't spoil them either! This is so cute Cheryl. Are the little animals from World Market? I have some and I think that is where I got them. They look much like yours do. 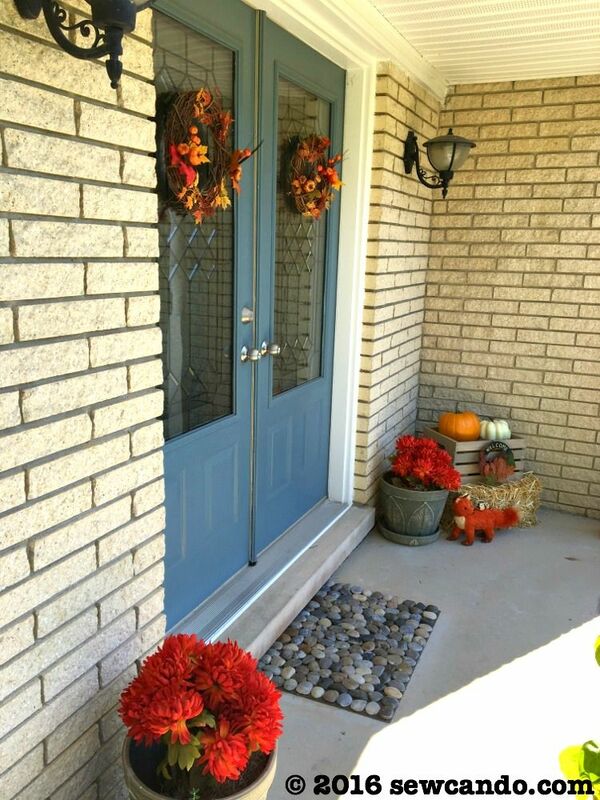 I also love changing the look of my front entryway with the seasons. I need to get out there now that it is October. 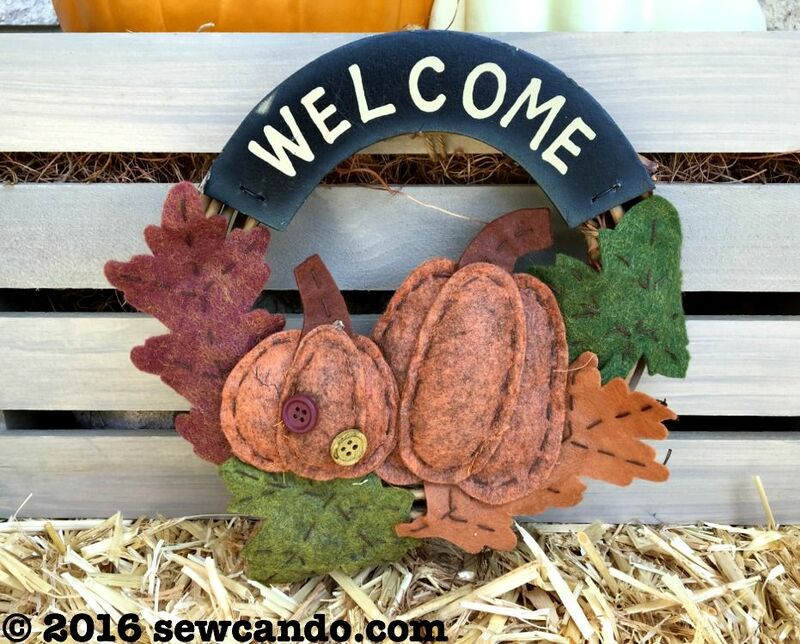 I am hosting a Handmade Halloween linky party this week. I would love to have you link your post up. Fun prizes and more people to inspire! Here is the URL if you are interested! What cute ideas Cheryl! I almost missed hedge hog! I enjoy using artificial flowers too! Thanks Connie - faux flowers don't get enough love in my mind. Glad to see others love them too! I'm a homeschool mom and didn't realize you can get discounts. Do you mind telling me who allows this and how to go about it? It would be much appreciated. Thank you! It's easy and SO worth getting. Just go here and fill out the form http://www.joann.com/teacherrewardsform/?icn=teacherrewards&ici=ANCHOR-DESKTOP and they'll send you a card you can take to your local store to get activated. There you either show a teaching license or homeschool organization card (usually a co-op, HSLDA membership or PEAH membership card) and then you can start enjoying an extra 15% off everything. They carry great school materials (as well as all the craft stuff), so it's really useful. It really does look beautiful! 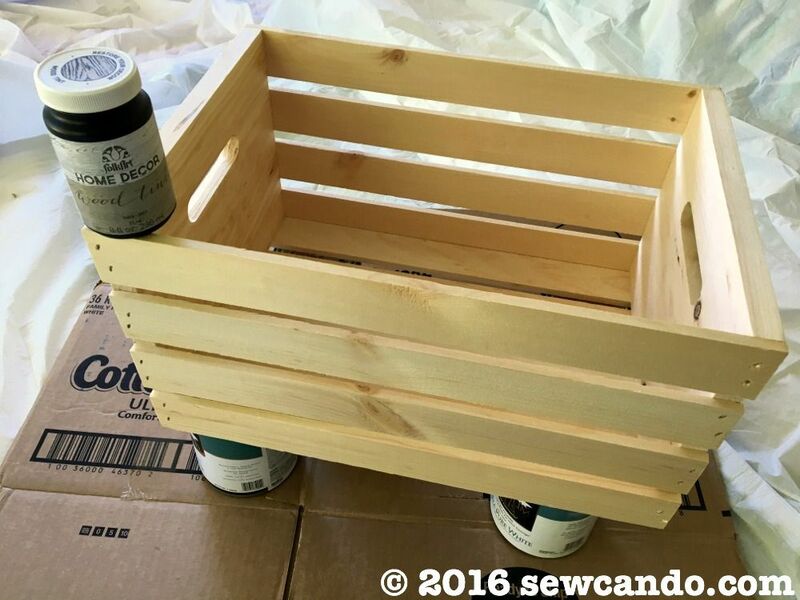 Love the crate and that precious fox! I may need to find one of those! Happy Halloween! Thanks so much. 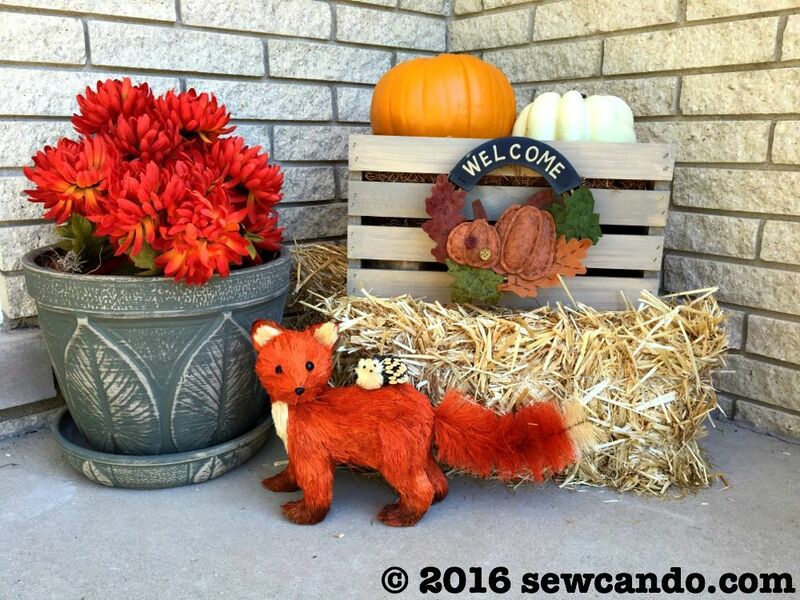 The fox is one of my favorites - I couldn't wait to get him out this year! I love your display. I have a similar fox on display in my living room. I wish I had a hedgehog too. He is so adorable! Thanks for linking up with us at Friday Favorites. I'm featuring you this week. Please come back and link up with us again! Thanks Jerri! 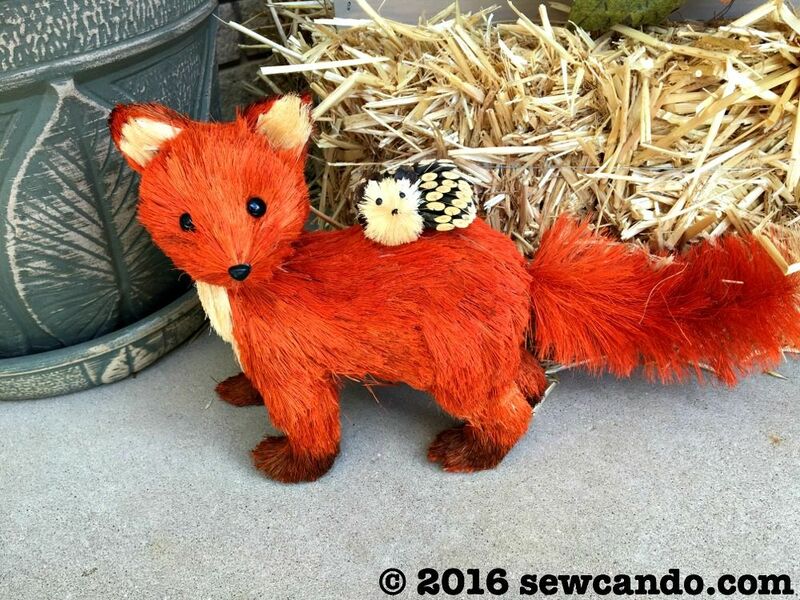 I'm a sucker for hedgehogs so I knew I had to have him with my fox. I appreciate the feature too!